It's party season which means it's time to really make an impact with the Gilded Cage make-up range which is perfect for every special occasion. Have you guys checked out any make-up products from the Gilded Cage range? Wearing less is the new trend and you don't need to cake your face to make a statement. Gilded Cage were born in Australia, designed in Paris and Made in Italy. They stock a wide range of eyeshadows such their Revelation range, Unleashed lipsticks and Charisma Lipgloss. All of the products are 100% buildable and a natural look is easily achievable with using their products. Furthermore, their products are not tested animals which is perfect for all of the animal lovers out there. I'll kick it off with their Unleashed Lipstick in Bold Coral which features a warm, coral shade that looks warm and attractive on the lips. It's a nice shade to rock for an event as it's not too red or dark therefore making it a safe colour to wear on the lips with any outfit. Then, we have their Revelation eyeshadow in Rose Gold which is this gorgeous, shimmery rose gold shade that looks subtle for the eyes. 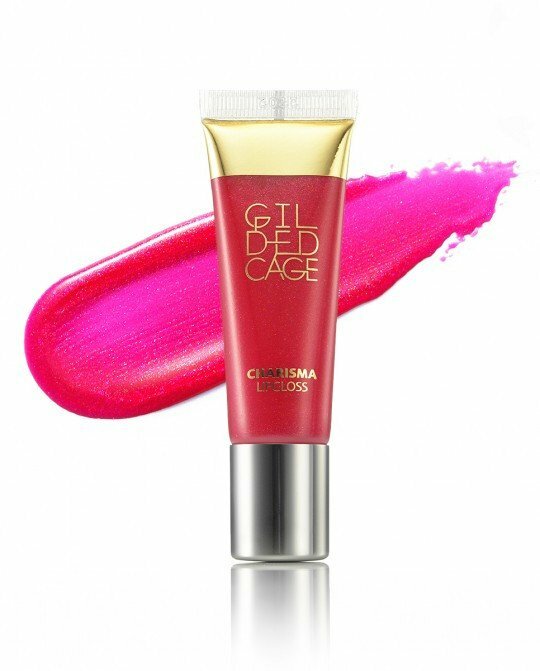 And if you are wanting bit more of a glossier look, finish it off with their Charisma Lipgloss in Cheeky Fuschia which make your lips look fuller, juicier and bursting full of shimmering colour. To learn more of how to achieve a party season look, keep on reading. This has got to be one of the most hydrating lipstick I have tried out to date. It's bursting full of colour and goes on really smoothly onto the lips. It's actually infused with moisturising actives which gives you that moisturising feeling. The lipstick contains wild mango butter, water lily and orchid flowers combined which essentially look to soften your lips instantly. It's definitely a creamy textured based which feels comfortable to wear on the lips all day long. As for the shade in Bold Coral, it's a subtle and lovely colour that looks to make a statement. Surprisingly, it looks very natural on the lips and the perfect shade for summer. The lip gloss formulation is thick and looks to last longer on the lips - making it ideal for your finishing look as you head out into the night. The lip gloss is enriched with a softening and smoothing Aleurites and Molucanna seed oil also known as kendi oil - leaving you with healthy looking lips that feel extremely comfortable. There are also shimmering particles in the formula which really look to hide lines and furrows. When it comes to lip glosses, I tend to layer them over the lipstick to create fuller and natural looking lips. For the Charisma Lipgloss, I love how it comes with a lip applicator making the application process much convenient for you! This eyeshadow comes in the form of a tube and with a sponge applicator. It's a long lasting cream to powder 'set and forget' formulation which offers a 14 hour budge proof cease proof wear. The rose gold is of a gorgeous shimmery and metallic shade that works well with all eyes. It really looks to jazz up your look, making it ideal for party season. You can easily build up the eyeshadow from a sheer to metallic look too. Now for the ingredients, it contains Carthamus Tinctorius oil, algae and orchid flower extracts which all leaves you with a smooth glide upon application. 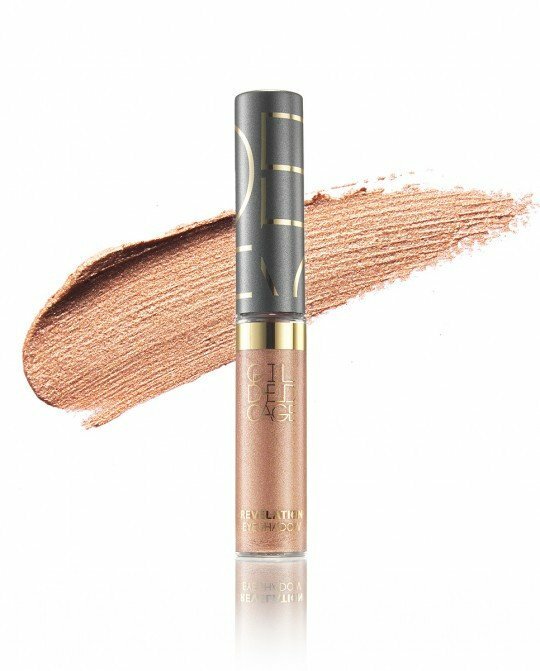 The only thing about the eyeshadow is that it comes in 3.5ml and it would be even better if could hold more in the tube as Rose Gold is a stunning shade. 3 - Unleashed Lipstick in Bold Coral. Thank you Gilded Cage for supporting me for this review. My reviews are based on my own experiences and I only recommend products that I truly believe in.